If you regularly search for how to make money online, the chances are that you would have come across binary options sites offering mouthwatering payouts from trades of less than five minutes. But are these claims true? Binary options companies are mostly unregulated platforms designed to fleece naive traders of their money. Most people get confused by the “options” in binary options, but they are not the same as real options. Binary options are a type of bet where a trader bets that the price of an underlying asset will rise or fall within a stipulated period. If you win the bet, you will receive a specified payout which can be within 75-95 percent of your stake. But if you lose, you will lose your stake minus a loss payout stipulated before the bet. The bet is called binary options because it has only two outcomes; you either lose or win the bet. 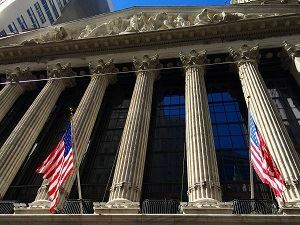 For example, a trade might involve predicting correctly if the stocks of company ABC will rise above $23 per share at 11:00 am on a particular day or whether the prize of an ounce silver will rise above $40.30 at 12:15 on a particular day. In binary options, the trader does not have any power over the options after entering the trade, as he or she has to wait until the trade matures after which the trader receives the reward for a win, or is given a percentage of his stake as loss payout. This is why it is known as fixed return options because the returns on the bet are predetermined before the trade. Binary options is not a trade, it is pure scam. You are not trading on any market, what you are trading against is the broker. The broker only makes money if you lose, so the system is deliberately skewed to favor the brokers. You will only lose money to these fraudsters if you are greedy. The payouts are so outrageous, and the options are too simple to be real. There are hundreds of binary options platforms, and many of them are domiciled in Israel and Cyprus. While some of them are listed on registered exchanges and markets that regulated by government agencies, the majority of these sites are internet-based and don’t comply with financial and securities regulations. 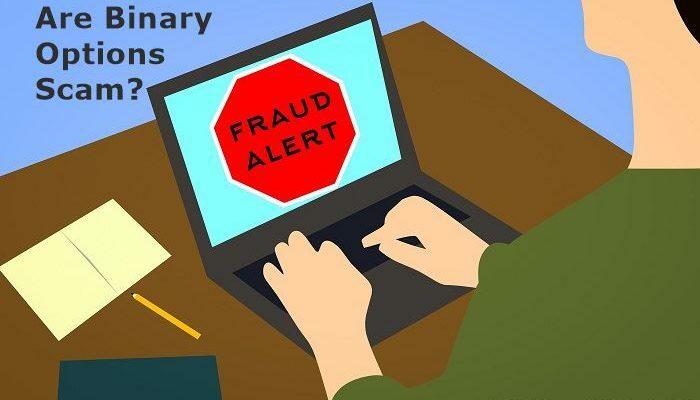 As the number of these internet-based binary options platforms increased, the number of complaints about fraudulent activities on the sites exploded. Thousands of people have reported many of these binary options sites to regulatory authorities after losing their money in phony investment schemes. 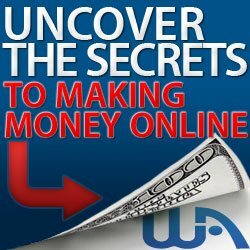 Many of these sites deliberately mislead traders to make them invest on their site. But the trading platform has been designed to cheat the traders. Binary options platforms take three forms including refusal to pay out winnings, identity theft, and manipulation of the binary trading software to stack the odds against the traders. The first way is to refuse to pay customers after they win. At first, binary options encourage you to open an account with them. After opening an account, you are encouraged to deposit a minimum into the trading accounts. Most binary options trading platforms have different types of accounts with different minimum deposits. 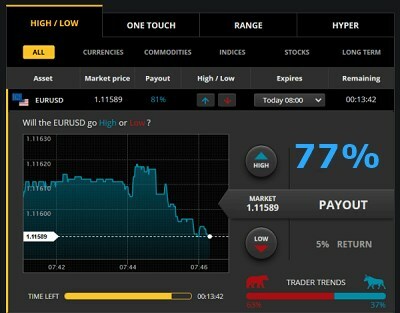 Some also offer their traders a demo account equipped with the features of a trading account. The demo account is used to familiarize the new trader with the instruments and trading strategies used on the platform. They usually have different payment channels such as bank transfer, credit and debit cards, and electronic money channels. Customers have complained that some of these binary options platforms charge customers for depositing into their trading accounts, but these are not widespread. The most common is to refuse to pay out winnings or funds. Many of the sites claim that withdrawals are processed within five working days. But to the dismay of traders, when they request for withdrawals from their trading accounts, the trading platforms will either cancel the traders’ withdrawal requests or acknowledge the request and fail to credit their accounts. Sometimes, they don’t respond to their emails and telephone calls. They disappear into thin air with their customer’s funds in their pocket. 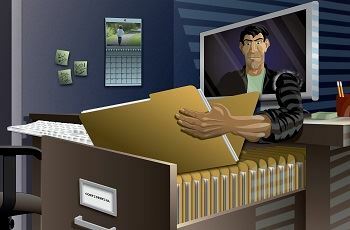 The second way binary options trading platforms scam their customers is through identity theft. When customers request for withdrawals, these websites ask for personal information such as driver’s license details and the details of their credit card. They may even ask for a photocopy of your passport. They will claim they need these documents to prevent fraud and make sure you are the real owner of the account they are paying into. But this information is used for purposes the customer can’t determine. The information can be used to clone the traders’ identity and used to clear their bank accounts or commit crimes in their names. If you ever come across a binary options site asking for your details, you better run! The third one is the most controversial method used by binary options platforms to defraud their customers. This involves manipulating the trading software to put the trader at a disadvantage. The most popular binary options trading platform is the SpotOption trading software, and this issue was the reason why the FBI investigated the owner of the company and Knesset of Israel banned the software from being used in Israel. According to the investigations of the FBI and the confessions of the operators of some binary options trading platforms using the SpotOption trading software, the software was designed to favor the brokers. 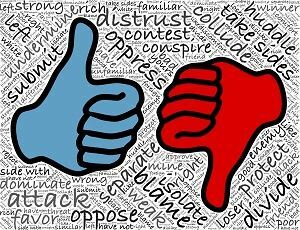 Some manipulations include showing fake market statistics, trends that are not real-time, charts that are incorrect, and extending the maturity of winning trades until the trade becomes a loss and the trader loses his or her stake. 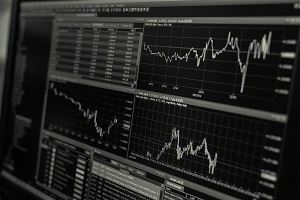 In fact, it is alleged that the trading software monitors individual traders and if it notices a trader is making consecutive wins, the platform will deliberately stack the odds against the trader so that it becomes impossible for that customer to win on trades no matter his or her prowess in reading the charts and predicting the options. Many of these companies are operated by Israelis, and the fact that binary options are not allowed in Israel speaks volumes. The Knesset, which is the legislature of Israel banned the promotion, marketing, and sales of binary options to Israeli citizens in a bid to protect them from the fraudulent activities of their compatriots. The government of Canada and the US have also warned their citizens not to engage in binary options trading as it is fraught with many illegalities and traders have a huge chance of losing their investments. On most binary options sites, you will find a caveat warning you of the high risk involved in binary options, but many people still fall for their high-pressure tactics. If you check the registration status of most binary options platforms, they are either registered with CySec of Cyprus or another regulatory agency in Israel or Russia. But the truth is that most of these registrations don’t provide any protection for customers. 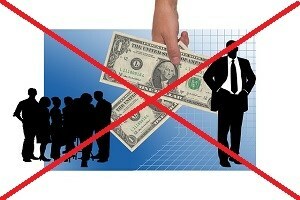 Some don’t even have any form of registrations and certifications to market or sell securities and commodities. If you put your money in such ventures, you are putting yourself into unnecessary trouble as they may disappear with your money without any trace. Before engaging in business with any binary options broker, check if it is registered with the relevant financial and securities regulatory agencies in your country. Secondly, do you understand what it is selling? If not, be wary. And lastly, if the payouts are too good to be true, then it probably is a scam. I hope you enjoyed this post and if you have any questions about binary options or you just want to leave your own personal experience, leave a comment below. I would love to hear from you! Next Article What Is Cryptocurrency And How Does It Work? Great overview here. Just the sound of binary options and the fact that it is bet just SCREAMS scam. I’m glad you sort of debunked it here. Hi Gabriella.. thank you for stopping by and taking the time to comment. It is so sad for me to see so many people being scammed of their hard earned cash with binary option. I will do everything possible to make people aware of this type of scam so they can avoid getting caught..
Just remember, “If it sounds too good to be true then it is probably a scam!” Be very thorough in your research before parting with any money. Be aware and be safe with online opportunities! I was able to recently recover my investment trading binary options all last year. Am just glad am out of this mess. Happy to share my experience. Hi Mary.. thank you for stopping by and taking the time to leave your experience with binary options. I am so happy to hear you managed to recover your funds and you are out of this mess. I am sure it was not an enjoyable experience for you. I would say don’t let this bad experience kill your dream of financial freedom. There are some legitimate businesses online that, if you are prepared to put in the effort, can bring you financial freedom. 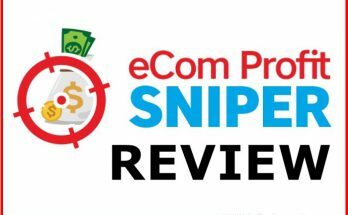 Check out our #1 recommendation and the best part is you can start out with the Wealthy Affiliate Starter Membership which is completely free. 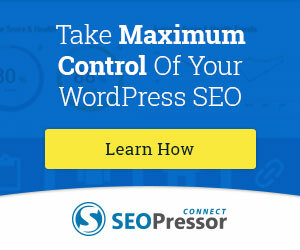 This will include your own niche website, a website builder and training that will walk you through the entire process to get you up and running online. Then in time if you want to improve your skills and benefit from the Premium features you can take advantage of that. I recently recovered funds from a scam broker. I had to hire a pro to this effect. Happy to share my experience. Please share your experience of how you recovered your funds. Give us a website so we can verify the company before presenting to our readers. 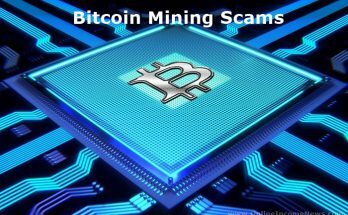 I am sure you can understand with so many scams going around we want to verify the company before we can recommend to our readers.